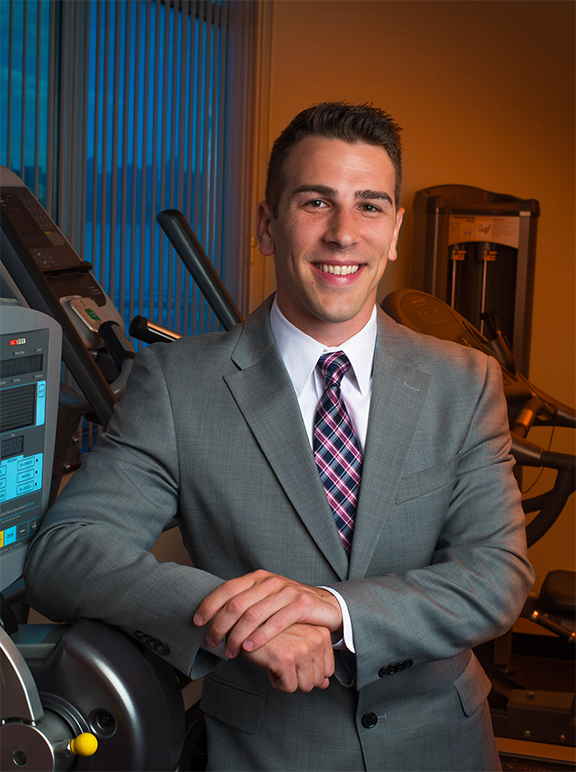 Dr. Michael E. Pomykala PT, DPT, CSCS is a graduate of the University of the Sciences in Philadelphia, receiving his Bachelors in Health Sciences and Doctorate in Physical Therapy. An athlete his whole life, Michael played soccer, baseball, and basketball competitively throughout high school. He contributed to help establish a club soccer team at the University of the Sciences in Philadelphia and continued his career as both a player and coach. Michael maintains his athleticism as an avid golfer and fitness enthusiast. He recently received his Titleist Performance Institute Certification helping injured golfers make their way back onto the course. Dr. Pomykala has a TPI Medical Level 2 Certification as a medical provider within the Titleist Performance Institute network. He his a SFMA Level 1 Certified, The Select Functional Movement Assessment is our clinical assessment for those who experience pain. It is a movement based diagnostic system which systematically finds the cause of pain – not just the source – by logically breaking down dysfunctional movement patterns in a structured, repeatable assessment. It’s foundation provides healthcare professionals with an efficient and systematic tool to reach a comprehensive movement diagnosis. He became a certified personal trainer through the American Aerobic Association International and International Sports Medicine Association prior to his start as a physical therapist and was a competitive bodybuilder throughout college. His primary physical therapy and rehabilitation interests include sports injuries, orthopedics, and preventative injury/conditioning programs, especially in high school and collegiate athletes.